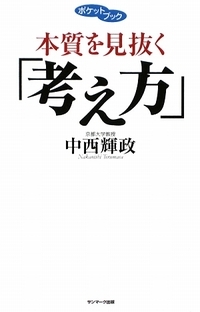 I picked up Terumasa Nakanishi (中西輝政)’s recent book “The Art of Seeing the Truth behind World Affairs” (my own translation from the Chinese title), without given much importance to the fact that he is considered to be one of Japanese Prime Minister Shinzo Abe’s “close, ultra-conservative brain truster”, which naturally renders him a rather dangerous voice to Chinese leading minds. Nakanishi is a Japanese strategist, scholar and professor specialized in international affairs. 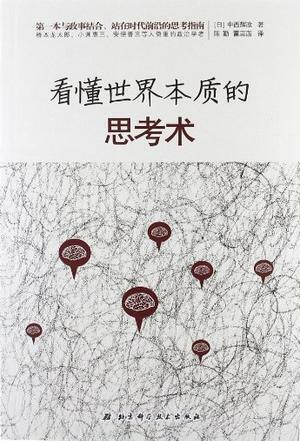 His book on the art of observing world politics is very popular among mainland Chinese: it is said it was reprinted seven times within three months. It is really a pity it is not available in English, yet. I saw this book in simplified Chinese in a lovely bookstore in a huge commercial center in Guangzhou, right after my one year stay in London. In the first words that bumped into my eyes Nakanishi san talks about how his experience of studying in the University of Cambridge in the UK has changed his life, and left him rather disoriented in his life back to Japan. This coincided well with my situation in life and how I felt at that moment. I decided to buy the book right away. These words resonate deeply with me. As I read on, I found more and more insights that coincided with my circumstances in life. This is truely an example of “finding a good friend in a book”. Since Nakanishi san specialized in international politices, and naturally in this book he would discuss time and time again about his political opinions. Here I would like to explain a bit my own attitude about “politics” in general. I am not interested in politics in the sense that one has to choose an opinion, advocate it, by defending and attacking, or grouping people into “friends” or “enemies” according to the extend they agree with you on this specific idea; nor as a big pool of conversation pieces with which one showcases his/her compassion for the fellow beings struggling in war and hunger on the other side of the earth, while sitting comfortably at a big dinner table around cheese and wine with stomach stuffed with a mixture of meat loaf, cream, and potatoes. No, I don’t like to talk about politics as a pastime, or use it as an imaginary battlefield where I experiment and exercise with my newly-developed intellectual weapons. Not any more. Now if I care to read or talk about politics, I want to see it as another big human drama through which I could understand the motives and intentions of the characters, and the talents and qualities of the actors. By “actors” I don’t mean just politicians. The peoples, the commoners, the “we”, the “me”, are all part of this global drama. Even my own spontaneous reaction to a certain story in news is a revelation of my true feelings, my underlying fears and desires, shaped by my cultural background, upbringings, and my life experience. As Nakanishi san puts it well in the first chapter of his book: to know the world we first need to know ourselves; to know ourselves we need to make sure our mirrors are not distorted. I will share more interesting insights I found from this book. There is no English version of this book available to my knowledge, so I have to rely on my own poor translation. But I simply want to get my points through – hope that’s achieved. This is fascinating – thank you SO much for the post. We have a saying in English ‘travel broadens the mind’ and even though it is something of a cliche, it is very true. You see your own country (and yourself) in a different perspective which is often very illuminating. Looking at oneself from the outside, as strangers would see you and your fellow nationals, can be a revelation. One thing I have learnt from living in different countries and continents is that basically most people are similar in what they want from life: a roof over their head, enough to eat, a family, security, a peaceful existance, good health, friendship. There are more things in common between peoples than there are disagreements. Politics stirs the pot and often causes friction when it is not necessary. I cannot agree more with what you said here. Thanks for sharing your thoughts!